4Sync is a handy and reliable application designed to back up and sync your files. 4Sync is a free service that makes all the files at your PC streamlined and stored in one place, but accessible anywhere you want. This service synchronizes your photos, music, zips, videos, docs, etc. between all your devices. 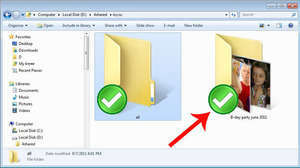 For security reasons, you should also check out the 4Sync download at LO4D.com which includes virus and malware tests. Additional screenshots of this application download may be available, too.